Colorful and unique, fungi (especially mushrooms) have always struck me as the quirky flowers of the forest. The small cluster or single mushroom sitting above the earth’s surface is but a microcosm of the vast mycelium network which can cover miles of space, underground. This network provides a vital chain of communication, through which trees warn each other of such things as pest infestations and resource shortages. 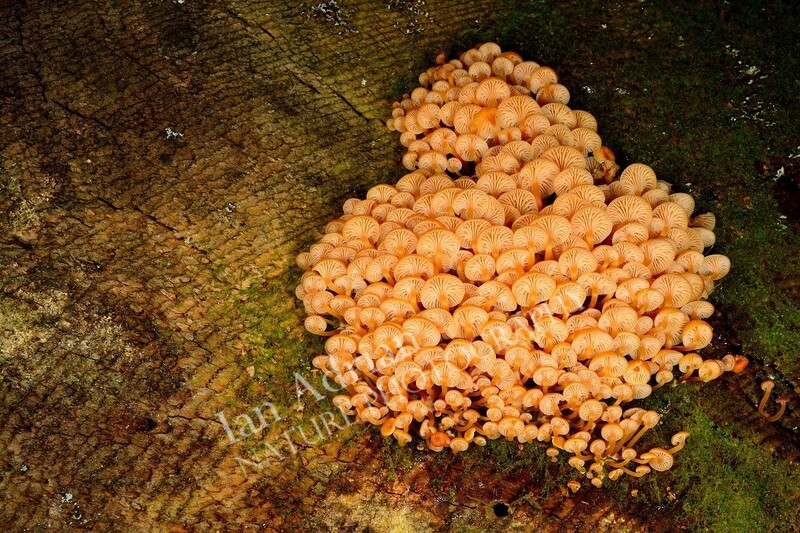 Mushrooms only emerge when the conditions are right for the mycelium to attempt at reproducing. 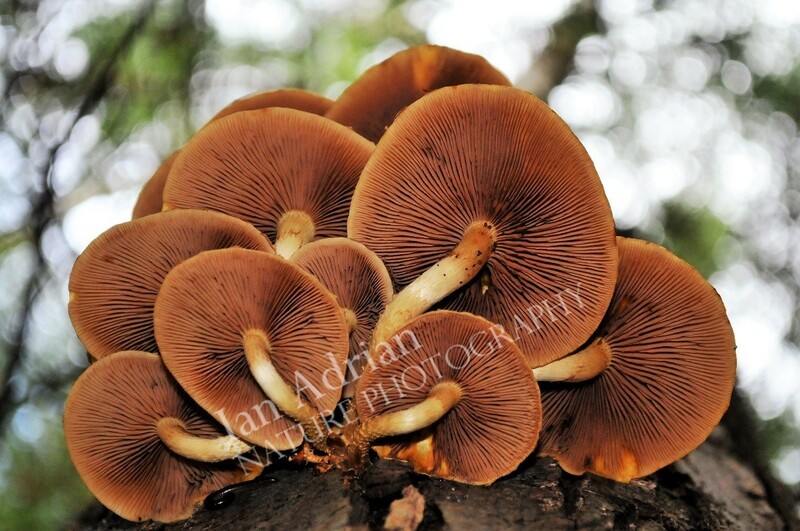 In this album, you will find some dramatic examples of the fungus class! 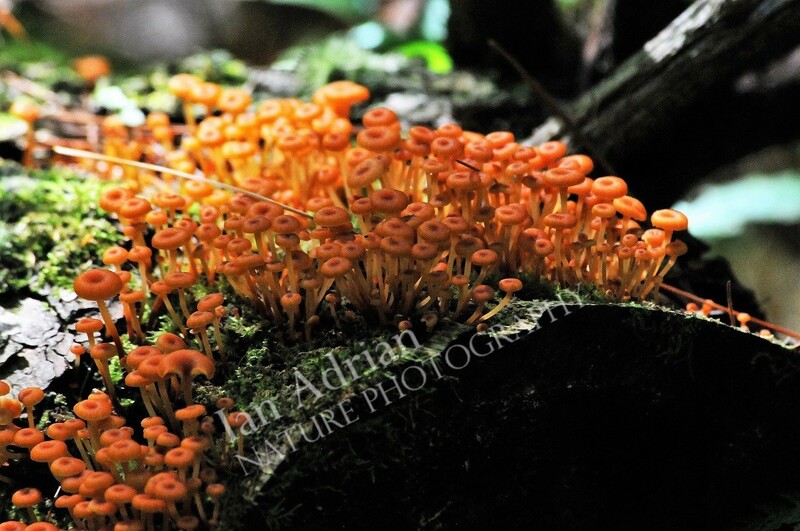 Whenever gazing upon something as magical as this gorgeous cluster of tiny orange mushrooms, I feel as though I'm peering into this mysterious world that we humans understand so little of. Michaux State Forest, PA, USA. 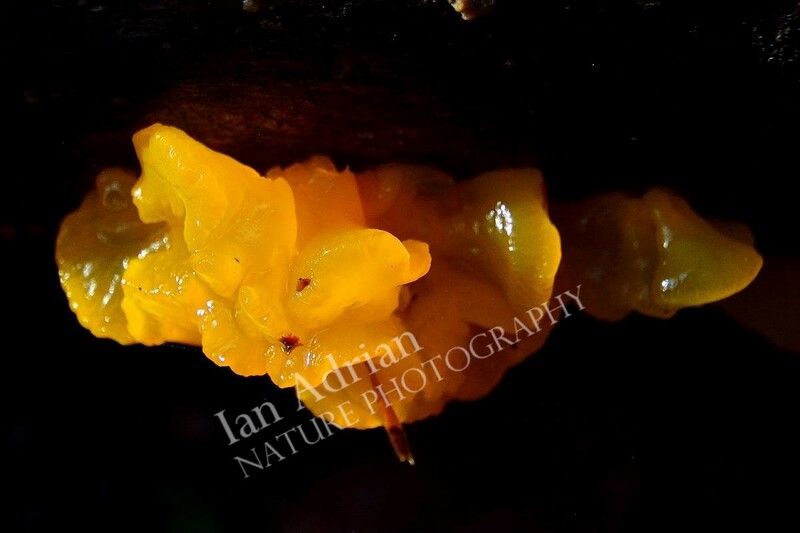 A young yellow patches mushroom, surrounded by it's mysterious forest environment. Photographed at Bald Eagle State Forest, PA, USA. A couple of chanterelle waxy caps. On such a dark, dreary day, the camera flash illuminated them in such a way as to give the impression of tiny little lanterns. Photo taken in Bald Eagle State Forest, PA, USA.